You know, the title of "best Batman game ever" used to be difficult to get. That's before Rocksteady Studios took the crown by force two years ago with Batman: Arkham Asylum, a game I enjoyed quite a bit, let's say. Before that, had you asked me what the best Batman game is, I would've said, "Oh, Batman Returns for the SNES, easily." That game came out in 1993. It took 16 years for a better Batman game to be made, and not for lack of trying, either. No, there have just been a lot of garbage Batman games over the years — until Arkham Asylum changed all that. 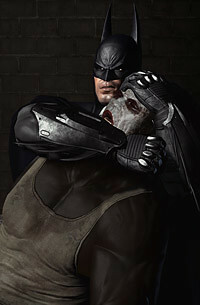 And now Rocksteady has done it again with Batman: Arkham City, making it look totally effortless in the process. 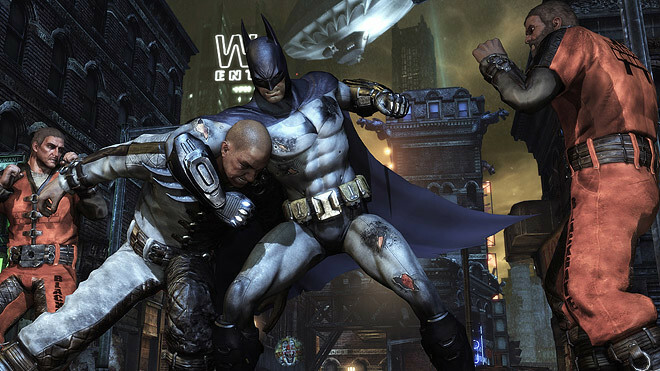 The first thing Rocksteady set about doing with Arkham City is expanding the scope of everything. The world is bigger, the stakes are higher, and while Batman is far more capable than he was in Asylum, his enemies are, too. Arkham City is a much more dangerous place than the asylum ever was, and it feels that way. 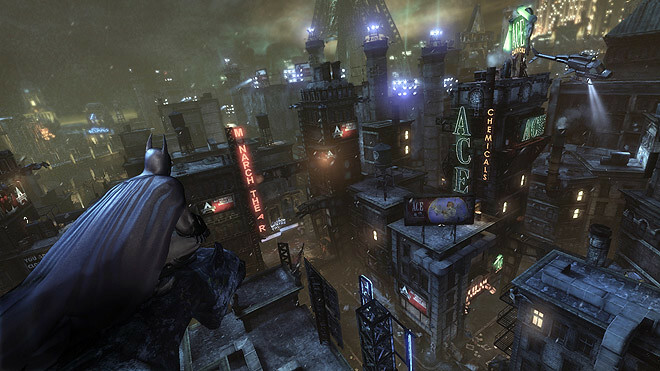 There have been some changes to Gotham City in the 18 months since the events of the first game. Quincy Sharp, the old warden of Arkham Asylum, was elected mayor, and with him came the rise of Hugo Strange, a diabolical genius who knows Batman's true identity and who orchestrated the creation of Arkham City, a massive prison carved from Gotham where criminals are allowed to do whatever they want as long as they stay within the walls. While Batman was (understandably) not too thrilled about the idea, I couldn't have been happier. Soaring over buildings, perching on gargoyles, listening to the city to get my next objective — it's the true Batman experience, executed flawlessly. The mechanics of controlling Batman have a purity that makes the simple act of getting from A to B a treat all on its own. You're quickly introduced to a mechanic that allows you to grapple to buildings and accelerate past them to launch yourself into the air again, similar to the grappling hook-parachute combo from Just Cause 2 that made that game such a joy, too. There's a real skill to traversal here, something the game encourages with side missions that have you flying through rings or rushing across the city. It's so easy to find yourself in a state of nirvana in this game, whether gliding over the streets of Arkham or punching dudes in the face, where the controller melts away, you cease thinking and begin to simply... react. You'll need to be able to reliably get into that mindset if you want to do well at the combat, which I'll maintain is, hands-down, the best melee combat system ever created. It's incredibly fluid and animated beautifully, looking more like a choreographed fight than a video game. It encourages the player to be very deliberate and spatially aware by tapping into the same addictive part of your brain that Call of Duty does with its Kill Streaks. For every five-hit combo, you'll earn the ability to use a special move, ranging from a brutal, instant takedown to a total disarm, where Batman grabs an enemy's weapon and destroys it — it's constant incentive to keep your combo going. And like in Asylum, while there may only be one attack button, Batman still has an entire arsenal at his disposal. The way Rocksteady has used almost every single button on the controller to allow players to have quick access to each of Batman's gadgets in the middle of a hectic fight without interrupting the flow or being overly complicated is nothing short of astounding, especially given how many more gadgets he has now. Of these, my favorite is probably the disruptor gadget, which is only really useful during stealth sections. It allows you to remotely disable an enemy's gun without him knowing. Then you can drop down in front of him and watch him freak out after his gun fails. What I love most about the stealth in Rocksteady's Batman games is the slightly sadistic tinge to it all. Batman's main weapon against his enemies isn't a gadget or a fighting technique; it's fear. You're not just supposed to be taking out guys wantonly; you're supposed to be turning them against one another, playing on their paranoia, becoming a true terror of the night. It became a game unto itself for me to set up excessively intricate systems to inspire that fear, like starting off by quickly stringing up two enemies with Inverted Takedowns on opposite ends of the room so the remaining guys would have to run through the middle, where I'd detonate a fire extinguisher, creating a smokescreen that I'd hop down into and silently take out one of the thugs as they all panic, then grapple away before it clears, and so on. I became a monster in Arkham City, and loved every minute of it. I think it speaks volumes about the quality of Batman: Arkham City that the worst part of the game is the downloadable (and therefore, optional) Catwoman content. There are four Catwoman missions if you've downloaded it, the first of which acts as a prologue to the rest of the game, but a bad one — there's no context to what's going on or why, is incredibly short and insubstantial to the overall plot, and most importantly, replaces the actual introduction (which is fantastic) as the opening to the game. The rest of the missions feel sandwiched into the story, breaking the otherwise excellent pacing, and would've been better left relegated to the main menu to be played later so that rather than interrupting Batman's story, they would've been complementing it. Oh, also, she's not much fun to play as, either, thanks to a severely limited toolset and the inability to fly. So not only does it take her longer to get places, but she can't do much once she's actually there. That certainly doesn't help. Honestly, I'd recommend just waiting to download the Catwoman content until after you've finished the game. 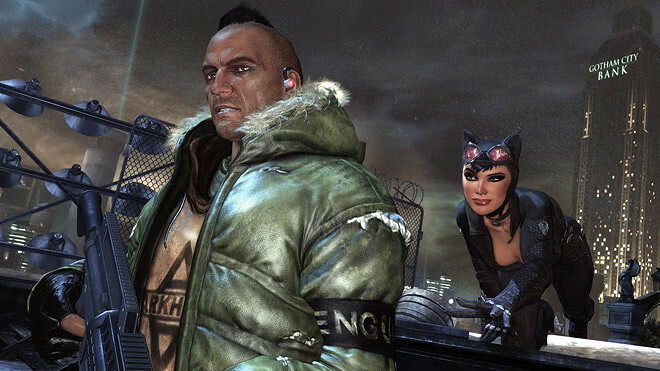 Ignore the Catwoman missions, though, and Batman: Arkham City has an awesome story, filled with smart writing and outstanding performances from the entire cast. It's engaging and dramatic and silly in all the ways you'd want a Batman story to be, but it's darker than you might expect, too. While a lot of the story might feel like an excuse to have you facing off against each of Batman's villains, I'd argue that that's exactly what's great about it: You turn all of Batman's greatest enemies loose in a small city-sized prison and I'd imagine he's going to have a pretty busy night. It continually ramps up and gets crazier and crazier until it finally reaches its spectacular conclusion. And then—because why not?—Catwoman gets a mediocre epilogue. Beyond the story, there's so much stuff to do. The game is packed with side missions, collectables, riddles, and challenge rooms, all of which are really satisfying to complete. The riddles, in particular, are gratifying to get, often requiring you to solve a fiendish puzzle first. Something about hearing the Riddler chime in after you've solved an especially difficult one to accuse you of cheating is consistently amusing. The challenge rooms return from Asylum, pitting you in combat or stealth-focused arenas with specific goals to meet, but are now accompanied by "campaigns," which are just series of three challenge rooms strung together with "modifiers" you have to activate. These can be positive or negative, like offering Batman regenerating health, making his enemies more aggressive, disabling Batman's gadgets, etc. You have to use all of them before the campaign is over and you can only use up to three at a time, so it takes some real strategy to decide which are best to use for which challenge. In every respect, Batman: Arkham City absolutely raises the bar for other games, with the best melee combat and stealth action to date, a gorgeous, well-realized world, stellar voice acting and animation, and a tremendous value. I can't give enough praise to this terrific game.